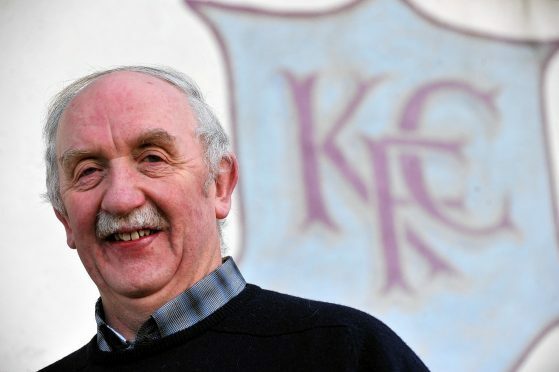 Keith chairman Sandy Stables has resigned his post, but will continue his 48-year association with the Kynoch Park club as honorary president and league management representative. SFA councillor Stables has been suffering with health issues over the past few years and the Keith board have appointed chief executive Andy Troup as his successor. Stables, who has been Keith chairman for almost four decades, making him one of the longest serving chairmen in Scottish football, said: “Winning three league titles in as many seasons from 1979 to 81 was the biggest highlight of time with the club. During Stables’ time in the chair the Maroons won six Highland League titles, including three in a row from 1979-81, six Highland League Cups, two Qualifying Cups, three Aberdeenshire Cups and five Aber-deenshire Shields. New chairman Troup said: “I would like to thank Sandy for his dedication and commitment to the club over the last 48 years and it goes without saying that everyone at the club wishes him well.